Kenneth De’Ora, age 29; grew up in the small town of Claremont, CA sandwiched between Los Angeles and San Bernadino Counties. Encouraged by his love for art and history, in his youth, he frequently painted historic structures and landscapes at locations along the foothills of the San Gabriel Mountains. In 2007 he had acquired an anthropology degree from Arizona State University and in 2008 worked in New York and Georgia on an internship with the Natural History Museum. Soon after completing this formal education, he began working at locations all over the United States as a freelance archaeologist and historian. For several years, Ken worked for governmental entities and private firms along the west coast and throughout the southwest. Enthralled by the beauty of various architectural remains and archaeological settings, he frequently found himself behind the paintbrush attempting to capture the rustic and serene elements of the past on canvas. 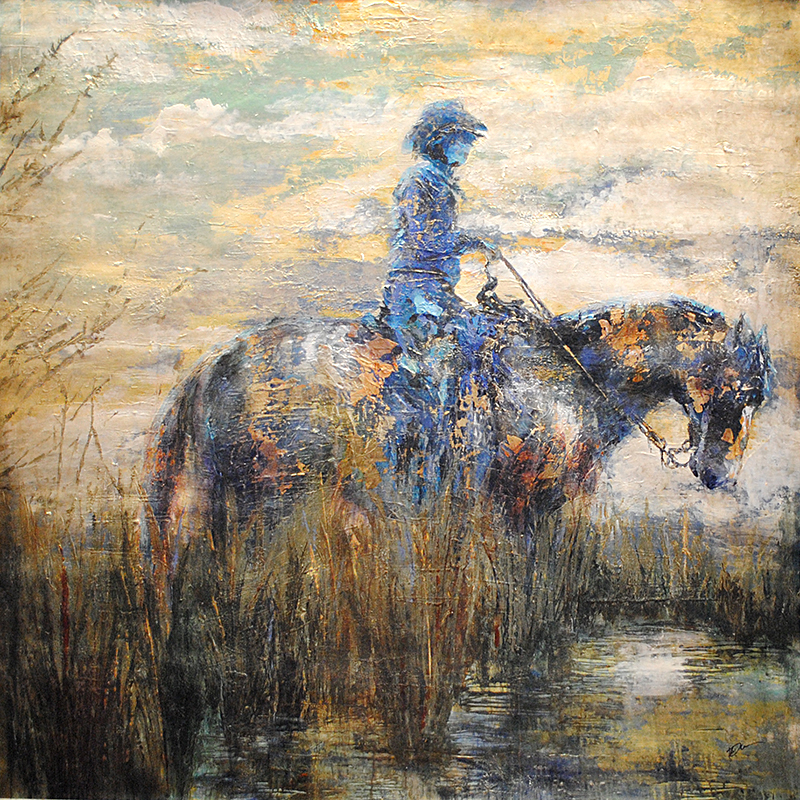 Ken now strives to involve textures and feelings he encountered during his work in the field in his paintings. He uses representational and abstract techniques to invite the viewer into his second career and to include new ways of looking at materials of the past. Environmental and Anthropological influences on his work continue to lend to his passion for preservation and art in many of his pieces. He is currently residing in Glendale, AZ and is showing exclusively at Think Art Gallery in Scottsdale, AZ.